On Tuesday, Israel outlawed the northern branch of the Islamic Movement, which it accused of fomenting violence by stating that Israel intends to take control of the Al Aqsa Mosque compound, known to Jews as Temple Mount. The government said the banned movement was committed to Israel’s destruction for the purpose of establishing an Islamic “caliphate.” Police closed 17 organizations affiliated with the movement, raided more than a dozen of its offices, and froze the group’s bank accounts. Israel also approved the construction of hundreds of new homes in the Ramat Shlomo Jewish settlement in east Jerusalem. Netanyahu has a conveniently short memory when it comes to terrorism. He leads the Likud party, whose political antecedents are the Herut party and the ultra-right Revisionist movement, which engaged in terrorist activities carried out by the Irgun and the Stern gang and their various splinter groups. Terror was an important tactic in the drive to establish the state of Israel. Some of the terrorist acts were aimed at the British, which ruled Palestine at the time, including the 1944 assassination of Lord Moyne, the British military commander in Egypt, and the blowing up of the King David Hotel, the British military headquarters in Jerusalem, in July 1946, killing 91 people and injuring 46. Many more were aimed at the Palestinians for the purpose of driving them from their homes and farms. The most notorious atrocity was the massacre at Deir Yassin, where Zionist elements killed all 254 inhabitants. Terror attacks continued even after the establishment of the state of Israel, including the assassination of Count Folke Bernadotte, a United Nations envoy seeking to arrange a peace agreement between Israel and the Arabs. Netanyahu is once again seeking to equate the Palestinians with terrorism. This, after all, is the man who said, following the terrorist attack on the World Trade Centre in 2001, that the attack was “very good” because it would “generate immediate sympathy” for Israel and its war against the Palestinians. According to Netanyahu, the Paris bombings are justification for Israel’s crackdown on opposition to a nearly 50-year occupation of Palestinian territory. Since the beginning of October, Israel’s security forces have carried out illegal and draconian measures, including a shoot-to-kill policy and the targeting of Palestinians that amount to extra-judicial executions. These have killed at least 85 Palestinians and injured thousands more. On Saturday, Israeli forces destroyed the family homes of four Palestinians accused of shooting Jewish Israelis. The Palestine Red Crescent Society (PRCS) has accused Israeli troops of consistently attacking its teams in the field, shooting and firing tear gas canisters at them or beating and pepper spraying them. It said that since October 1, some “125 PRCS emergency medical technicians have been wounded and 67 ambulances damaged as a result of these systematic practices, which go against international human law provisions.” Israel prevented Red Crescent teams from reaching Palestinians who were sick or wounded on 66 occasions over the same period. 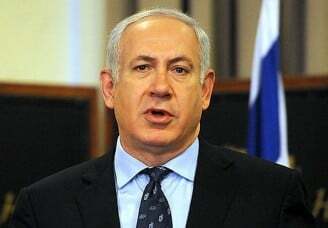 Netanyahu said that Israeli security and intelligence forces were working with France and other European countries and had passed on information derived from their surveillance of militant groups in Syria and Iraq to their French counterparts. Israel’s Army Radio said that its electronic surveillance of Syria and Iraq may have yielded intelligence on the organization of the Paris attacks. According to Channel 2, while Israel said it had no advance warning of the Paris attacks, its intelligence forces had, within hours, given France details on some of the Islamic State militants who allegedly carried them out. Without evidence, it cited an unnamed senior Israeli official as drawing a “clear operational link” between the Paris attacks, the suicide bombings in a predominantly Shi’ite suburb of Beirut on Thursday and the downing of a Russian airliner in Egypt’s Sinai Peninsular in October. Last year, a Western diplomat revealed that Israel was providing Washington and its regional allies fighting the Islamic State in Iraq and Syria with information from international travel databases about Western citizens suspected of aiding or joining the militants. Netanyahu repeated his call for European Jews to leave Europe and emigrate to Israel, where he claims they will be safe from jihadis intent on their destruction and the conquest of the “civilised” West. His real motivation is not their safety, but Israel/Palestine’s demographics. Of Israel’s 8 million population, about 1.6 million, or 20 percent, are Palestinian, while a further 4.5 million Palestinians live in the West Bank and Gaza. Without a Palestinian mini-state, the Palestinian population, whose fertility rate is higher than that of Israeli Jews, will soon exceed that of the Jewish population. But even this consideration is subordinate to Netanyahu’s political efforts to equate the Palestinian opposition to Israel’s occupation with Islamic terrorism and align this with the US-led “global war on terror,” with its focus on the oil-rich Middle East. A Spanish court has issued arrest warrants for Netanyahu, former foreign minister Avigdor Lieberman, ex-defence minister Ehud Barak, former deputy prime ministers Moshe Ya’alon and Eli Yishai and former state minister Benny Begin for their roles in the 2010 attack on the Mavi Marmara Freedom Flotilla seeking to break Israel’s illegal blockade of Gaza. Israeli naval commandos killed nine Turkish peace activists, including one with dual American citizenship, and injured dozens more on board the Mavi Marmara.